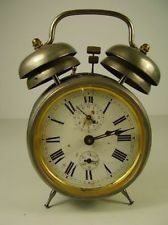 Do you remember really those old type alarm clocks. Like the central bell of a huge alarm of the fire brigade! Solution: Drop it in a bucket full of water. I sleep through the big ben windup alarms 3 feet from my head.... When i travel its 2 phone alarms, the alarm clock and a phone call wakeup if the wakey can get me up consistently @Ankerofficial would have a home run. I am most excited about the speakers, especially the rave speakers, I have been waiting for a long time for ANKER to make a large speaker. GO ANKER!!! Rave speaker is good for party time. The Rave is exciting for me, especially the 24 hour playtime. I am also interested in the Wakey. Why did it take so long to come up with that idea?! I am also interested in the Wakey. Why did it take so long to come up with that idea?! The wakey has got my attention night get to work on time even . This one should get you to work on time. Yep! Looking forward to getting me one of them Wakeys. 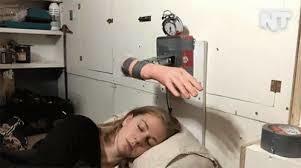 Wish it was already out for purchase cause my old digital alarm clock just crapped out! My dream can wake me up everyday!